The CFA Institute is urging the SEC to shift focus from rolling out its version of the fiduciary rule to enforcing existing regulations, according to BenefitsPRO. In response to the SEC’s request for comment for its review of advisor conduct, the CFA Institute says a uniform standard “would likely involve numerous exemptions and carve-outs for different types of clients, transactions, and situations,” according to a letter to SEC Chairman Jay Clayton from Paul Smith, president and CEO of CFA Institute. It would be “extremely hard” to draft a rule covering all the various parts of the industry, Jim Allen, head of capital markets policy at CFA Institute, tells BenefitsPRO. “You’d end up with a rule with a bunch of holes in it — the size of the old New York City telephone book looking like Swiss cheese,” Allen tells BenefitsPRO. 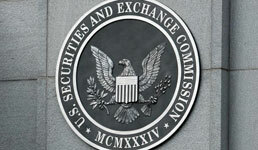 Instead, Allen and Smith say the SEC should enforce sections of the Investment Advisers Act aimed at making a distinction between advisors and brokers, according to the web publication. Specifically, Section 208(c) bars anyone other than a registered investment advisor or a fiduciary from claiming to offer “investment counsel,” BenefitsPRO writes. Allen tells the web publication that over the past 10 years brokers started working with some clients under a fee-based sales model (which in the eyes of clients makes them look more like investment advisors) — and the SEC encouraged it. If the regulator were to better enforce the distinctions between RIAs and broker-dealers, it would dispel the confusion among retail investors and prevent potential conflicts of interest, Allen tells BenefitsPro. It would take the SEC as little as six months to roll out guidance on the distinction, while a new fiduciary rule could take years, he says. Since the Department of Labor’s rule only applies to retirement account advisors, the CFA Institute has long favored an SEC-written fiduciary standard that would cover everyone offering investment advice to retail investors. Nonetheless, the CFA Institute also argued against any further delays of the DOL’s fiduciary rule when the agency proposed delaying it this spring, the web publication writes. While still concerned over the DOL rule’s complexity, the CFA Institute said any further delay “would be a regrettable step backwards for the investing public,” according to BenefitsPRO. The DOL ended up postponing the rollout of the rule by 60 days to June 9. To read the BenefitsPRO article cited in this story, click here.